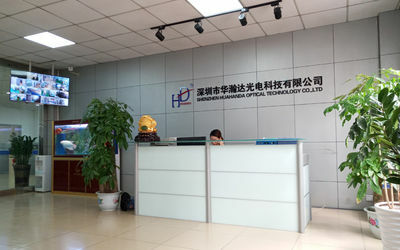 Shenzhen Handar Optical Technology Co.,LTD,Located in shenzhen,china,was founded in 2009,which is professionally engaging in researching & developing,manufacturing,and marketing fiber optical communication product. 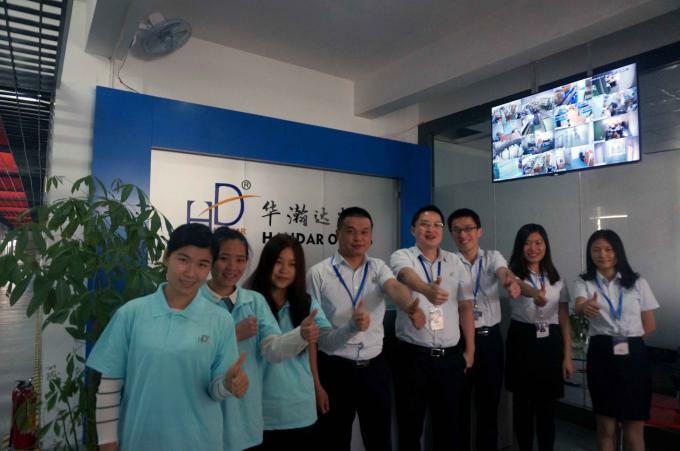 With several-year development,Handar has established a profession teechinical team,strict quality control system and hight -tech production line. 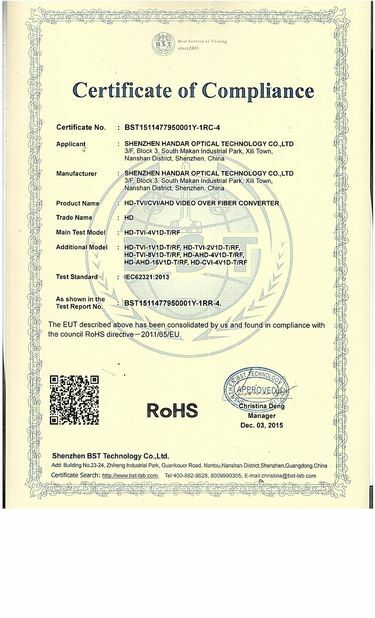 Currenty Handar featured product including SFP transceiver 155M/1.25G/10G/40G/100G,media converter,AHD/TVI/CVI video to fiber converter and industrial ethernet switch. They are widely adopted in IP LAN,WAN, Telecommunicaton and hight definition CCTV systems.Users include China Telecom,China Unicom,China Mobile,China Broadcast&Television,also we are exported to more than 30 countries and areas,such as USA,Germany,Spain,Russia,Denmark,Korea ,Malaysia,Singapore and etc. 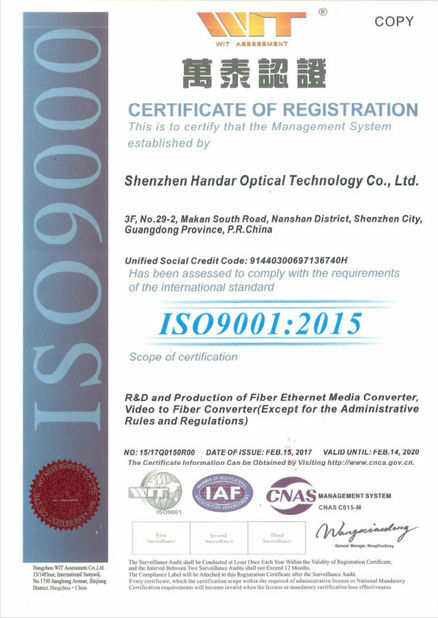 Handar is aimed at establish long term relationship with global partners,we providing better quality,effective price,excellent after-sales-sevices.We are ISO 9001 certificated company,our products got CE certificate and were approred by RoHS standard. "human oriented, quality first, service first, excellence pursue" is the tenet and goal that company is founded on. Our company takes "continuous improve and advance with the times" as its main principle to stimulate itself, and join in the competition domestically and abroad with excellent products in good faith.